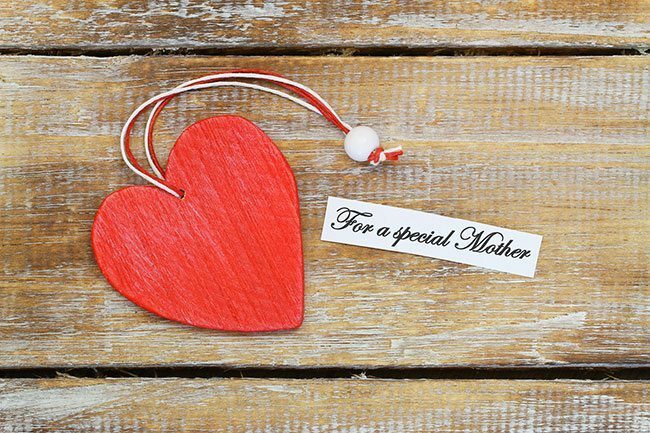 Along with your Mother’s Day gift this year, why not include a gift of words to make Mom feel extra special? 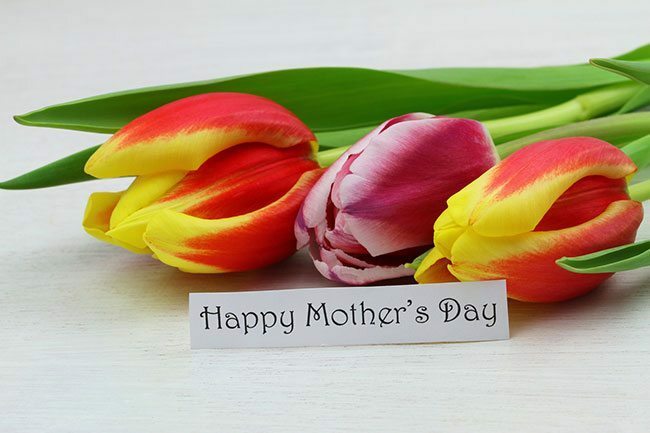 Giving Mom a Mother’s day poem is one of the best ways to express your love as it’s emotive, impassioned and thoughtful. Poems can make you laugh or cry – sometimes even both. Long Mother’s Day poems can be handwritten on notepaper, printed or emailed. Short poems can be included in Mother’s Day cards. For something truly unique and thoroughly innovative, use the easy-to-use graphic design tool Canva to create an image that you can drop onto one of our custom photo canvases or use as part of a canvas collage you can create yourself. Imagine your own custom word art included for Mom instead of a photo? Simply beautiful! Either way, your Mom will definitely feel the love. You might even like to recite the poem out loud to Mom. This is something to consider, regardless of age. Despicable Me II taught us that it’s all in the delivery! Check out this cute-as-a-button short movie scene, below. Be sure not to read your poem aloud like that, no matter your age! If you have time, you might even like to write your own poem or, if that’s not your cup of tea, simply draw inspiration from those who use their special talent for words and write poetry for occasions such as this. 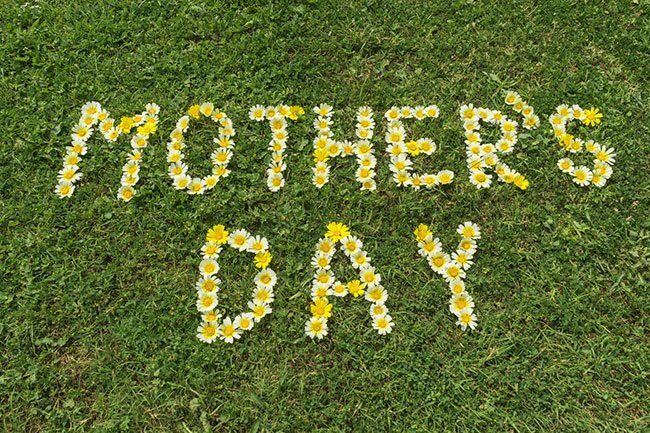 Here are 10 of the best Mother’s Day poems. In the mix, we’ve included Mother’s day poems from daughter and son, a classic sonnet, some Christian poems and a YouTube Mother’s Day poem. For the wisdom that you’ve shown. Who could have so many facets that make her oh-so great? Who has you on her mind each day and today we celebrate? Whose hands hold and guide you in a way unlike another? All these are part and parcel of the joys of being a mother! even though the heart is breaking . of the rarest, brightest gems . I’d like to mention too. If you’re after something more succinct, it’s easy to change these poems into Mother’s Day quotes – just pick your favourite verse! 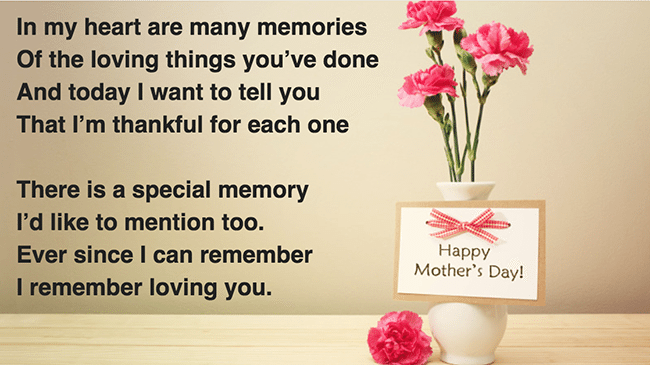 This Mother’s Day, take some time to put together some beautiful words for your very special Mom. You will find that it makes the gift you give – whether it’s a photo collage print, a bunch of flowers or a lunch date – even more special. If you like our idea of creating a piece of custom word art on canvas especially for Mom, be sure to experiment with Canva and get creative with our CanvasApp. You are loosing a lot of traffic. You need high PR backlinks to rank in top ten. I know – buying them is too expensive.